Back in May, Usher dropped the first taste of his upcoming album,”Good Kisser,”an auto-tuned throwback jam produced by Pop, Flip, JProof, Terry “Tru” Sneed, Natural and Oak and now another bomb is here, “She Came To Give It To You” which touched down at 7 AM of July 8th(this month) on Chicago’s WGCI 107.5. 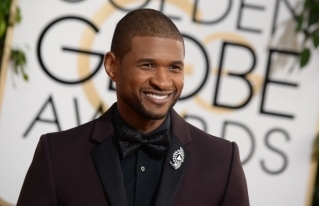 The track will appear on Usher’s upcoming as-yet-untitled eighth LP and finds the R&B star belting a sizzling tale of club love around a seductive Pharrell groove that’s as funky and soulful as what we’ve come to expect from his recent work. There’s no release date for the follow-up to 2012’s “Looking 4 Myself”, but the album is expected to hit the earth sometime this year. The album will reportedly feature a number of guest spots, including Diplo, Skrillex, Chris Brown and Juicy J.
DL, Share & Enjoy as We bring More!! !